Activated Coral Calcium supplies a synergistic profile of Phytavail Complexessential minerals from pesticide-free, hydroponically grown plants. Other Ingredients Microcrystalline cellulose, silica, magnesium stearate, vegetable cellulose and purified water.Free from artificial colors and preservatives. Free from the common allergens yeast, wheat, corn, soy and milk. Don't Bargain with Your Health! 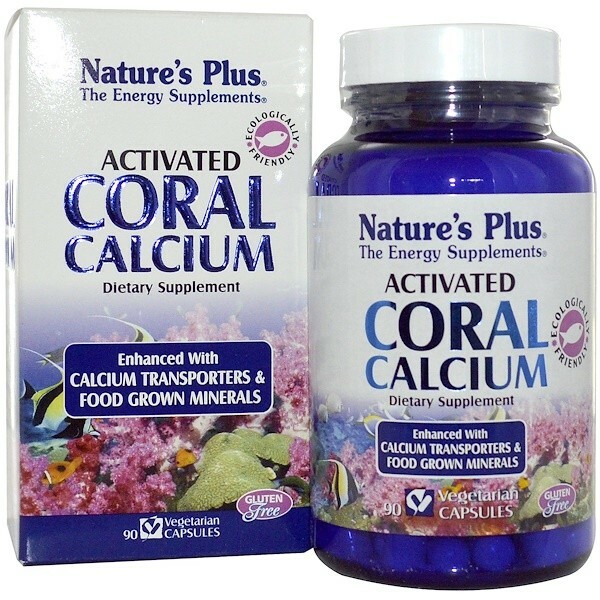 Nature's Plus Activated Coral Calcium is harvested in an ecologically sound manner from deep water basins off the OkinawaIslands of Japan. Living Coral Beds are not harmed. 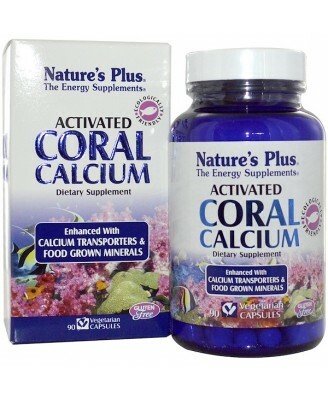 Activated Coral Calcium supplies Bioperine for even greater nutrient bioavailability. 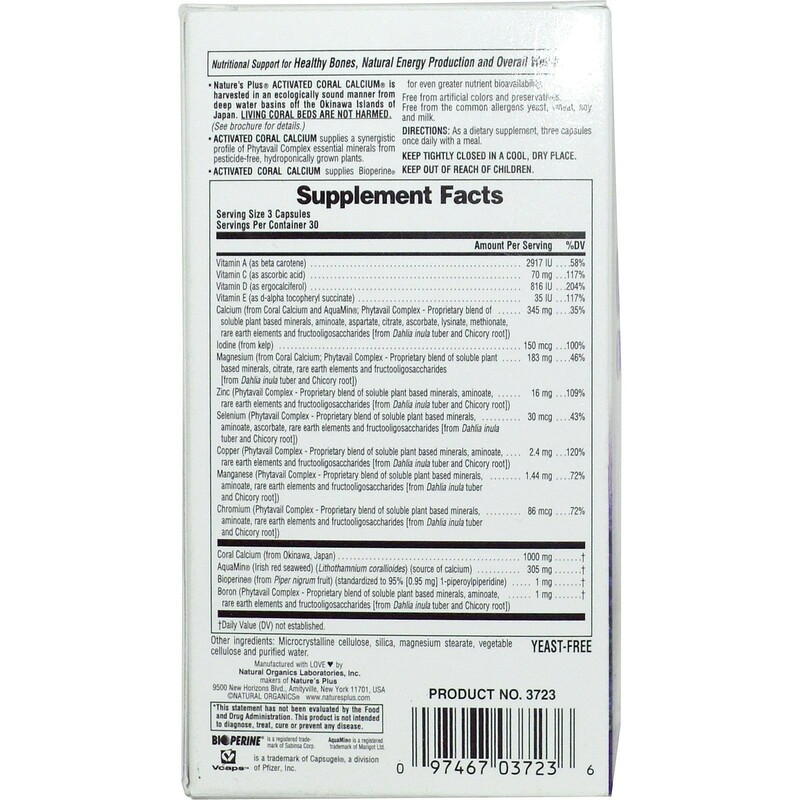 As a dietary supplement, three capsules once daily with a meal.